Overview and recent form: Radwanska reached the semi-finals of Stuttgart in her first tournament on clay this year, falling to Laura Siegemund in straight sets. Radwanska was a point away from leading 4-1 in the first set but was unable to capitalise, seemingly overwhelmed by Siegemund’s daring mix of aggression and variety. It was a solid start to the spring for Radwanska and the world number two was free from strapping on the shoulder, which forced her to pull out of her home tournament in Katowice. Radwanska spoke in press in Stuttgart about taking time to adjust to the clay and while she secured just two wins on this surface last year (both in Madrid), her game is in a much more fruitful position this time round. Draw Projections: With no byes in this draw, being a seed doesn’t count for much in Madrid. Radwanska has drawn a stinker, opening against Dominika Cibulkova in the first round. The pair last played at Indian Wells where Radwanska saved a match point to win a thrilling three setter, 6-3 3-6 7-5. The draw won’t ease up with Caroline Garcia or Johanna Konta awaiting in the second round. Draw Projections: Kerber opens proceedings against Barbora Strycova; on paper it looks like a tough match but in reality, it’s a decent draw for Kerber who has won all eight sets they have played, with five of them finishing, 6-1. There’s no easy draw though in Madrid with Madison Keys and Sloane Stephens (or potentially Daria Kasatkina) potential opponents before the quarter-finals. Overview and recent form: Muguruza’s form has improved in the last month or two, but she is still seeking that big result that sets her year alive. 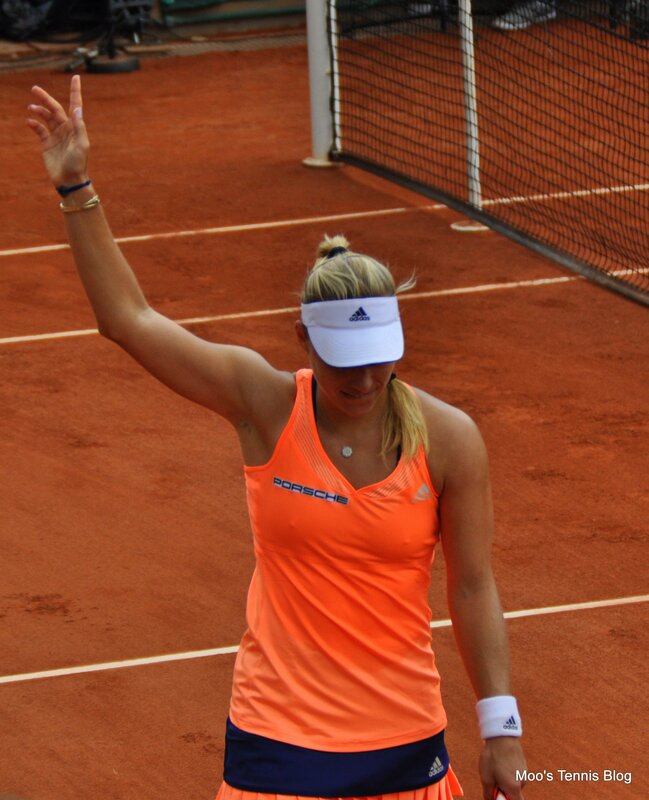 In Stuttgart, Muguruza lost to Petra Kvitova in a lopsided quarter-final, 1-6 6-3 0-6. The serve wasn’t quite firing in Stuttgart but she has had plenty of time to acclimatise to the altitude in Madrid, arriving early in the week. Muguruza will be aiming to win back-to-back matches in Madrid for the first time in her career. Draw Projections: Muguruza will play Anna Karolina Schmiedlova first up… as openers go, this is pretty dreamy for the Spaniard who has a 3-0 head-to-head record against the Slovak player. Furthermore, Schmiedlova is at her lowest ebb right now, losing her last eight matches. Muguruza is anticipated to play Eugenie Bouchard or Irina-Camelia Begu in the second round; the former would set up a mouthwatering clash. Overview and recent form: It’s refreshing to write about Azarenka in these previews… for so long, she has been the “one to watch” among unseeded players or the lower ranks of seeds but by virtue of Serena’s withdrawal this week, she has bagged a top four seeding. Azarenka has looked pretty unstoppable, posting a 24-1 W-L record in 2016 so far and winning three titles including Indian Wells and Miami back-to-back, the first player to do it since Kim Clijsters in 2005. The only weakness in her game has been the serve which has looked vulnerable, particularly in her last match on the WTA tour in the final of Miami against Svetlana Kuznetsova. Of Azarenka’s 20 titles on the WTA tour, just one has come on clay in Marbella in 2011. While it hasn’t been her favourite surface, she reached the semi-finals of the French Open back in 2013. Her game though has a sense of transferability and with confidence and fitness both high and Serena and Maria both on the sidelines, it’s hard to look past Azarenka being the favourite to win this tournament. Draw Projections: Azarenka will play Laura Robson in an intriguing first rounder. While Robson produced a messy performance in her most recent match against Timea Babos in Rabat (she’s still coming back, it will take time! ), i’d sense that she will get up for this clash. The winner will play Alizé Cornet or Paula Badosa Gibert in the second round. Overview and recent form: Kvitova returns to Madrid where she came out of literally NOWHERE last year to win the title, producing a pair of sensational performances to defeat Serena Williams and Svetlana Kuznetsova in the last two rounds. 2016 started rough but Kvitova, now with a coach in tow, appears to be in a good place with her tennis. Kvitova won two matches in Stuttgart, saving match points to scrap her way past Monica Niculescu and then showed streaks of ‘Peak Petra’ to beat Garbiñe Muguruza in the quarter-finals. While she lost out to Angelique Kerber in a three set semi-final, there were many positives to take away from the tournament such as a willingness to inject some variety into her game. Draw Projections: Kvitova begins her title defence against Lara Arruabarrena, a potentially tricky opener against a player who has produced some decent displays on the clay this year. Arruabarrena has reached the final of Osprey ($50k ITF), semi-finals of Bogota (WTA International) and pushed Angelique Kerber all the way in a fabulous second round match in Charleston (WTA Premier). Kvitova could play Jelena Ostapenko in the second round, who she lost to in Doha earlier this year. Overview and recent form: Halep looked to be finding her best form of the year after a stuttering start down under; she reached the quarter-finals of both Indian Wells and Miami, but despite winning her first Fed Cup rubber against Andrea Petkovic, picked up yet another injury. She was comprehensively outplayed in a 1-6 2-6 loss to Laura Siegemund in Stuttgart. It was a puzzling decision to play the tournament, considering how much she had laboured whilst clearly not 100% in Australia. Pictures from Madrid have shown Halep practising hard with Darren Cahill, which would seem to be positive in regards to the ankle injury. Draw Projections: Halep will play Misaki Doi in the first round; the Japanese player is a real threat, particularly when the forehand is on, but has been unable to convert on an upset result on numerous occasions. The winner of this match will play Karin Knapp or Margarita Gasparyan in the second round. Overview and recent form: Vinci has had a brilliant start to the year, winning the biggest title of her career in St. Petersburg and reaching the quarter-finals in Brisbane, Doha and Stuttgart. During her most recent loss to Laura Siegemund (three of the eight seeds discussed here experienced it! ), she was clearly troubled by an injury. 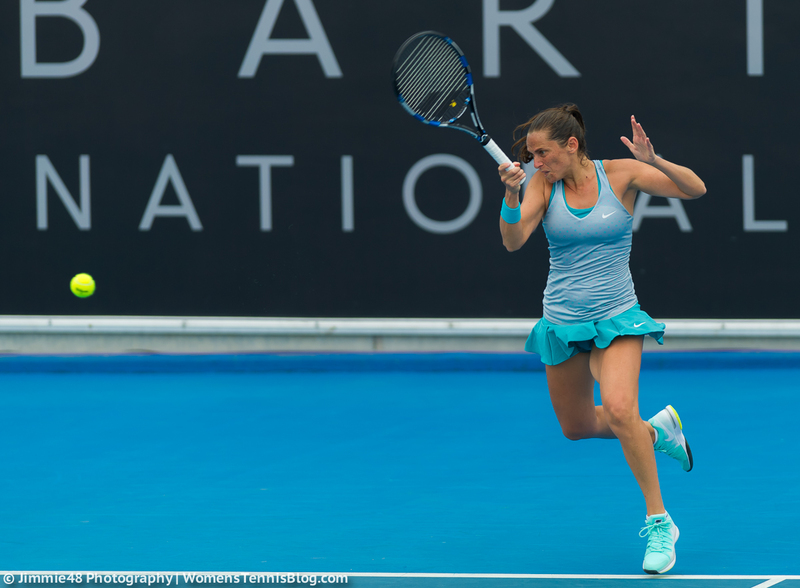 Her participation in Madrid was set to be in jeopardy but on social media, The Tennis Island reported that while Vinci hasn’t practised much of late, her ankle is better following a recent injection. It would be a real shame if Vinci’s week were to be cut short in Madrid due to injury as the quick surface would seem to suit her game. Draw Projections: Vinci opens against last week’s Istanbul finalist, Danka Kovinic whose best results have mostly come on clay. The Montenegrin though was forced to pull out of Prague, like Vinci, with an injury. The winner of this match will play Jelena Jankovic or Sorana Cirstea in the second round. Draw Projections: Suárez Navarro faces off against the in-form, Timea Babos in the first round. The Spaniard won their two previous encounter but Babos is a different player this year. Suárez Navarro is seeded to meet Lucie Safarova in the third round. Karolina Pliskova (13): It’s difficult to analyse Pliskova’s form this year because it has been so inconsistent. There’s been some great performances, notably at Indian Wells, but some disastrous ones too. Pliskova flew through her first three matches in Prague, dropping just 13 games, but lost her first match in four to Lucie Safarova in the semi-finals. The surface in Madrid should suit her game, but the question will be whether she’s fully fit having playing a lot of matches in the last few weeks. Her schedule has been marginally quieter than last year, but still remains an issue. Ana Ivanovic (14): Despite delivering an impressive first round display in Stuttgart, Ivanovic’s mental woes reared again in the second round as she suffered her fifth consecutive loss to Karolina Pliskova. A new week brings new opportunities and Madrid is a good surface for her game. She could play two qualifiers in the first two rounds although Monica Niculescu is a potential second round opponent. A projected third rounder against Azarenka would be one to circle. Sloane Stephens (16): Saving a match point along the way, Stephens won her third title of the year and biggest to date in Charleston. While there have been some glorious highs this year, she has backed up her first two titles with losses in her next tournament. 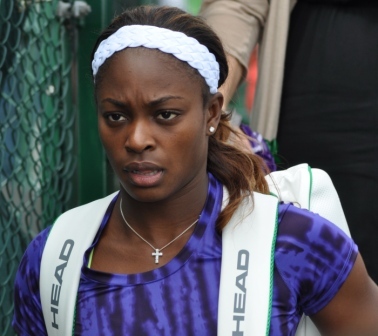 Against Teliana Pereira in the first round, Stephens may have time to shake off any rust. She’ll need to be on her game though if she makes it past the second round where she could take on the player who held a match point against her in Charleston, Daria Kasatkina. Andrea Petkovic: In one of the showcase first round matches in Madrid, Petkovic faces Timea Bacsinszky (match to be previewed on Moo’s Tennis Blog in due course). This year has had its fair shares of ups and downs, as is tradition with Petkovic, but she seems to have turned the corner on a barren run of form, kickstarted by a come-from-behind victory in Fed Cup action against Monica Niculescu. While a scary fall seemed to take the momentum away from her in a second round loss in Stuttgart to Agnieszka Radwanska, she could be primed for a solid showing *if* she can get out of the gates fast against Bacsinszky. Anastasia Pavlyuchenkova: Currently on a five match losing streak, Pavlyuchenkova is enduring a similarly miserable run of form to that experienced at the same stage of 2015. The Russian player has won just two more matches than this time last year (7-9 W-L record before Madrid compared to 5-9). Pavlyuchenkova’s draw in Madrid is ideal though for potentially snapping that streak; she plays Lesia Tsurenko in the first round who recently retired in her second round match in Rabat and she could play Sara Errani in the second round who she defeated here last year. It’s hard not to see Azarenka dominating this tournament based on her start to the year but then again, she’s yet to compete on clay this year. While Kerber has been in excellent form over the past month and has a fair draw, my feeling is that all the matches she has played may catch up with her, particularly with no byes in this tournament. Who do you think will win Madrid? Have your say in the tournament poll below and as always, comments are appreciated! If you are entered into the Tennis Draw Challenge game, remember to get your picks in by Saturday morning HERE! ← Lucie Safarova wins her first singles match in 2016! I don’t have much idea as to who will win the tournament overall but I think Garbine’s overdue a deep run in a tournament and it could well be this one.